When a 23-year-old Cape Verdean was elected mayor of Fall River, some saw the birth of a star: a fresh face among the usual suspects of Massachusetts politics. But when federal prosecutors charged Mayor Jasiel Correia with stealing hundreds of thousands of dollars from investors, it prompted Gov. Charlie Baker — who Correia had crossed party lines to endorse — to ask the mayor to step aside. And perhaps more stinging, the city council cast a vote of no confidence and the residents of Fall River organized to recall him from office. Far from heeding the widespread calls to step down, Correia pleaded not guilty to all the charges, and the go-to phrase among his supporters was established: "innocent until proven guilty." While his criminal case is ongoing, Correia's fate as mayor will be decided by a town-wide election Tuesday. Polls will be open from 7 a.m. to 8 p.m.
“I’m going to be voting against the recall; voting for Jasiel,” said city resident Jonas Correia, who has no relation to the mayor, during his lunch break at a sandwich shop in Fall River. He said Correia should not be judged by the allegations he’s facing, but by the work he’s done since the indictment came down five months ago. And by that measure, he said, the mayor is doing an excellent job. “[The court case] hasn't really been a factor at all,” Jonas Correia said, adding that the mayor has been good for first responders. Criminal charges against Correia trace back to before he was elected mayor, the youngest in city history, and possibly the only Cape Verdean mayor in state history. He'd founded a startup based on a social media app, SnoOwl, and prosecutors accused him of using the money of unwitting investors to fund a lavish lifestyle. The mayor faces nine counts of wire fraud, with a maximum sentence of 20 years, and four counts of filing false tax returns, with a maximum sentence of three years. Pereira said the recall effort has led to a division among Fall River residents that he's never seen before, and like others, he hopes the recall, whatever the result, will help heal some of the wounds. Among the four people running against Correia are a long-time city councilor, a school administrator and a veteran of the nonprofit world. One of the best known is Paul Coogan, a school committee member who worked for more than two decades in the administration of Fall River’s Durfee High School. Even if Correia wins by a small margin, it’s possible some civility will be restored in a city that’s been deeply divided over the effort to recall its mayor. Opponents say whatever the outcome, they’ll be glad once this chapter is closed and they can start looking toward the next mayoral campaign. And that's only a few months away. 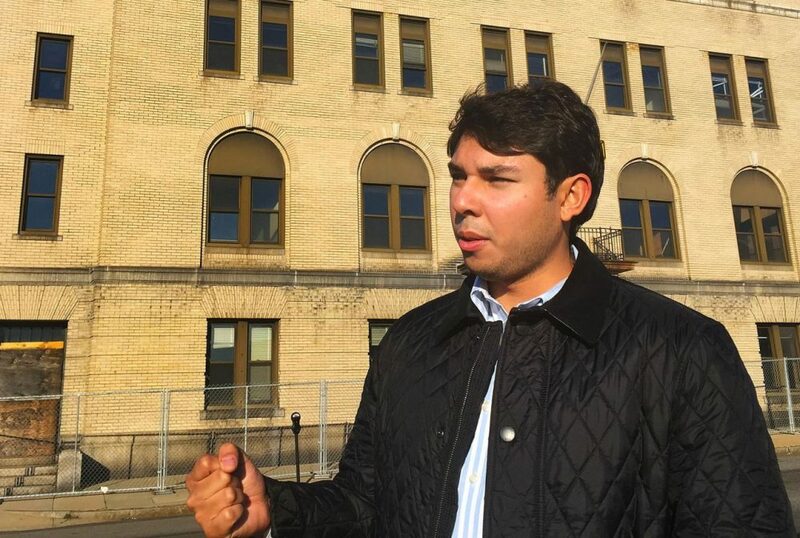 Fall River Mayor-elect Jasiel Correia stands in front of the city’s former police station. 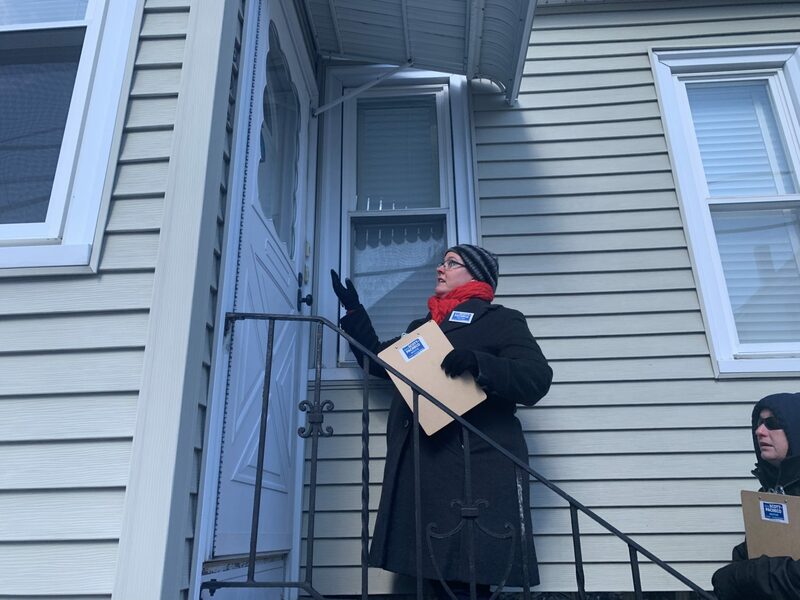 Nonprofit worker and mayoral candidate Erica Scott-Pacheco canvases registered voters on a freezing cold weekday morning in fall river. 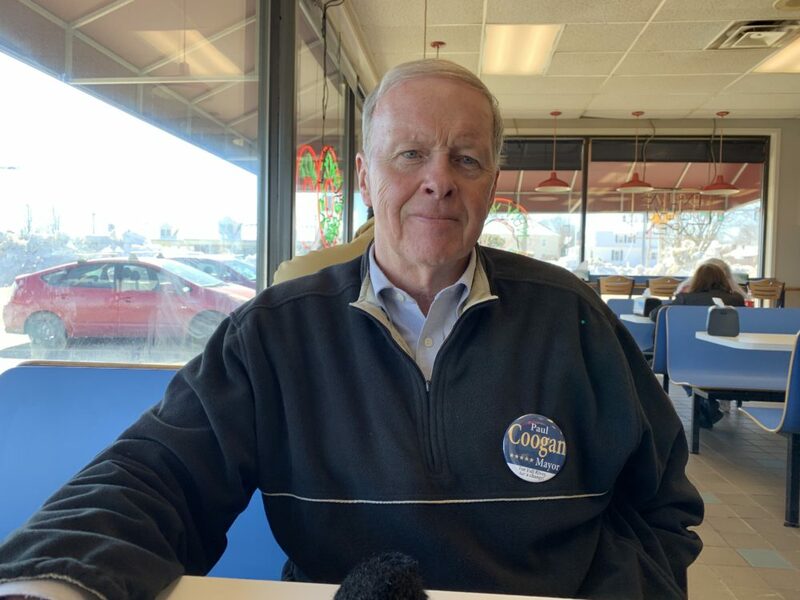 Mayoral candidate and school committee member Paul Coogan talks to reporter at a local bagel shop.